North Korea’s Missile Fizzles, China, Russia & US Ships Converging and United Airlines Again? North Korea’s latest missile launch fizzles, was it hacked? China, Russia and US Ships moving into N. Korea coastline, and say it isn’t so, United Airlines kicks a bride and broom off their plane. Plus, inside the White House drama, real or fake? These and other top news stories are on our radar for today. 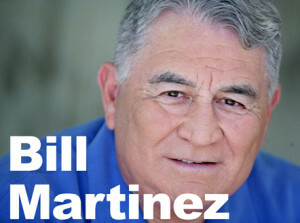 News is happening and we have the experts to give you the facts, on this very independent Bill Martinez Live. Dr Jerome Corsi – NY Times Best Selling author, investigative reporter discusses, the North Korean crisis, Trump response to Syria, ISIS, & Russia. Plus the latest on Hilary, and the Bannon Kushner conflict, real or fake? Jake McCandless – Spiritual Prepper-Tapping Into Overlooked Prophecies To Prepare You for Doomsday. McCandless is a senior pastor and is founder, president, and speaker for Prophecy Simplified. He is presently the director and an instructor at the Faulkner Baptist Ministry Training Center. Tom Rogan – Why Trump Is Now Pressuring China and North Korea at the Same Time. Rogan is a contributor for Opportunity Lives, a panelist on The McLaughlin Group, and a senior fellow at the Steamboat Institute. Bob Waliszewski – Big Weekend for The Fate of The Furious, Tops Boss Baby and Beauty & The Beast. Waliszewski is Focus on the Family’s Director of Media and Culture and the popular Plugged In website, Pluggedin.com. Marty Angelo – Once Life Matters: A New Beginning. Marty worked in the entertainment business from 1965 to 1980 as a musician, television producer, record promoter, disk jockey, restaurant and nightclub owner and personal manager for rock ‘n’ roll bands, Raven and the popular Top 40s rock group, The Grass Roots starring Rob Grill. He has stories and we’re talking. Join us for 3 exciting hours of the most compelling and informative talk radio, 9-12n (ET) Monday – Friday. We’re pursuing the truth no matter where it leads. Come be a part of this movement to get America back on track.